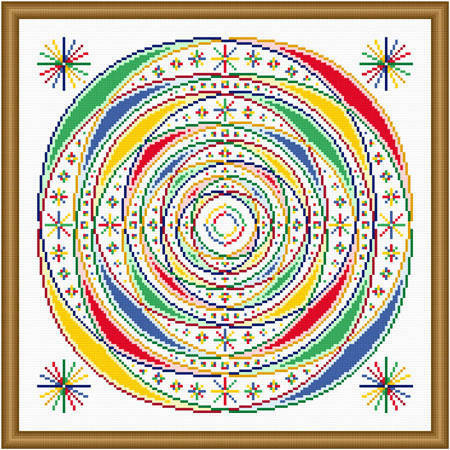 Space Orbiter cross stitch pattern... Different size colorful stars and shapes (planets) are featured in the spaces between the circular orbits. Shades of basic colors are used. Floss may be changed. Whole stitches are used.